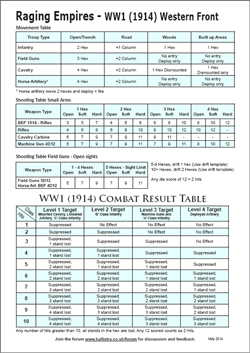 This draft version of the rules contains all the game mechanics necessary to re-fight historical battles in all theatres and phases of the First World War, from the war of movement of 1914 to the major battles of 1916. 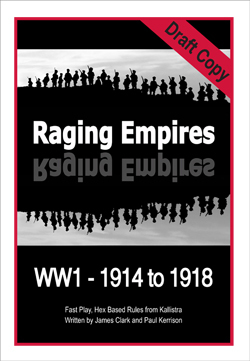 This will be extended to cover 1917-18 in the full set of Raging Empires due for Autumn release. FREE to download. 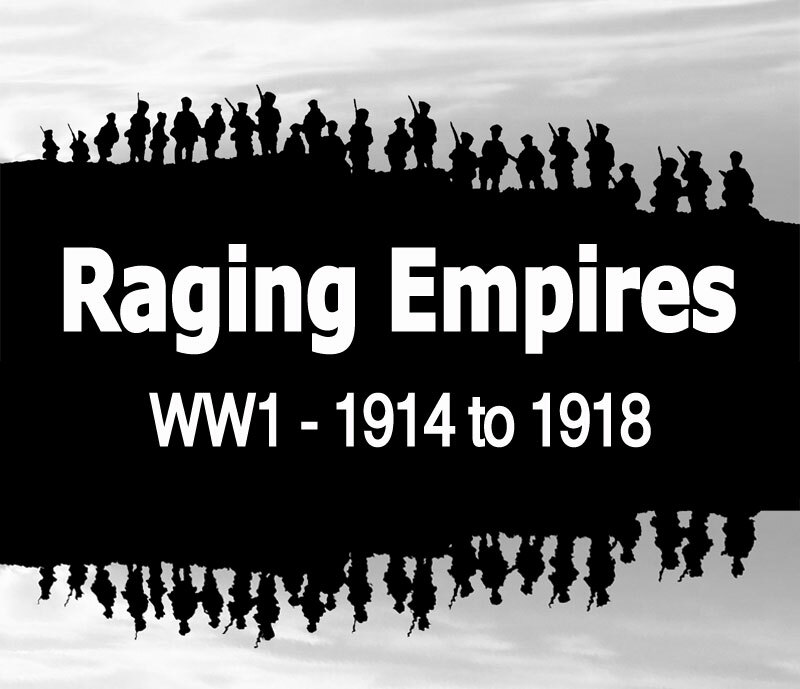 Please register/Login to download your copy of Raging Empires, 1914 Western Front Play Sheet and Unit Composition. Join the forum for updates and join in the discussion, feedback very welcome! WW1 miniatures are 12mm (1:144 scale). The miniatures are designed and manufactured in the UK. Cast in lead free pewter to the highest standards. All packs include precision moulded brown plastic supplied bases. Figures are supplied unpainted and some models may require assembly. 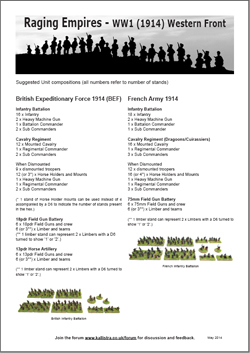 You can download the WW1 Catalogue in pdf. format just click here to go to the downloads page. so you can 'pick and mix' across our extensive ranges.